As the current cloud landscape is changing, what can we expect from this market in 2018? Cloud computing has been developing rapidly since the term was coined in 2006. It’s played an integral role in the transformation of many businesses over the last decade, particularly valued for the reliability, scalability and versatility that cloud technology brings compared to traditional dedicated servers. And this race to the cloud will only gather pace as technology matures. Having the ability to understand, evaluate and implement cloud computing is crucial for today’s business leaders, regardless of whether they operate in IT or not. As business needs evolve, so too does cloud infrastructure. There has been a strong growth within the private and hybrid cloud computing market, and in the next twelve months we can only expect that the technology will gain further importance and adoption. Research company IDC’s findings back this prediction up, by pointing out that a year ago traditional data centres accounted for 62 per cent of IT infrastructure spending, while public cloud captured 23 per cent and private cloud, 15 per cent. Illustrating a rapid shift, IDG predicts that by 2020 data centres will represent 50 per cent of the market, with public cloud forming just under a third of the market and private cloud making up 20 per cent. In simple terms, data centres’ importance is diminishing, while public and private cloud technology’s value and usability is growing and gaining traction. Going back to basics, a hybrid cloud enables businesses to use a combination of different cloud model types. For example: a public cloud with a private cloud, or one private cloud with another one, or one public cloud with a second public cloud. Some businesses see hybrid cloud use as a way to deal with IT demand peaks, while others view it as a central management experience. Many companies tend to start working with hybrid clouds to complement their present investments. For instance, as most businesses usually use a sliding scale for what aspects of their operations are most crucial, some would place the less valuable or security-demanding areas in the public cloud. Meanwhile, other aspects that need more control and safety would be directed to the private cloud within that hybrid cloud space. This way, they can control and oversee their operations and systems management. With the increasing adoption of hybrid cloud computing, we will see the market grow steadily. While last year was important for experimenting and learning about the technology, cloud vendors will continue to crystallise their strategies throughout this year. One vivid example is Microsoft’s launch of private cloud platform Azure Stack, the purpose of which is to mirror the Azure public cloud. Meanwhile, Amazon Web Services partnered with platform virtualisation giant VMware, to offer a new hybrid cloud extension. Further, Oracle and IBM now have their own hybrid cloud offerings. These are only a few examples of how, as major cloud vendors’ strategies are gelling, they will gain momentum as their clients continue to seek the best ways to manage their public and private clouds. Another important development will be the optimisation of connections to the cloud. Very few companies use only one cloud model – many have both public and private clouds. This means that if a business uses a hybrid cloud, it can certainly benefit from access to an optimised network connection to that cloud. This need has led to a growth in the interconnection providers market, known as multi-clouds, and as hybrid cloud computing becomes popular, businesses will need to prioritise creating, maintaining and optimising such connections. With the increased exploration of hybrid cloud, people will also start turning their heads to emerging options such as multi-clouds, which are naturally evolving from hybrid cloud use. Multi-clouds enable the use of multiple cloud computing services in a single infrastructure. For example, a company can use separate cloud providers for its infrastructure and software services, or it can use a number of infrastructure providers for a variety of workloads. This is when multi-cloud architecture comes into play, as it enables businesses to increase their cloud operations’ availability. So, if one of the cloud vendors in the architecture is experiencing a problem, the business can switch workloads from it to a different vendor’s infrastructure. There are a number of reasons why multi-clouds will become increasingly powerful and valued. They enable the complete integration of all the prevalent public clouds like Amazon Web Services, Microsoft Azure and Google Cloud Platform. They also optimise multi-cloud management into one sole activity, by allowing a wide-ranging cloud network to exist in a single platform. 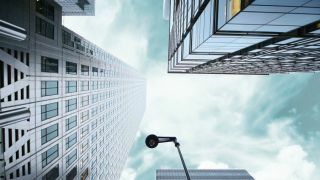 Furthermore, multi-clouds enable the automation of IT networking, which makes it easy to connect to and switch between public and private clouds. More importantly, centralised cloud networking management enables a business to access, control, analyse and trace faults in all its cloud resources in one unifying place. This can bring business optimisation and increased efficiency – and what business doesn’t want that? All of this means that the emergence, and eventually adoption, of multi-cloud computing focuses on connectivity and therefore brings more relevance to networking and to the easier ways of managing networks. Having looked at the emerging cloud options and the changing landscape, we also need to consider the reasons why more enterprises turn to cloud providers. Amazon, Microsoft and Google’s cloud infrastructure is on such a large scale, that we talk about them as a hyperscale cloud, as opposed to a mere cloud. While they offer a hosting service that is safe, scalable and global, they are also constantly innovating and collaborating, ensuring that they’re experiencing immense growth because of it. Hyperscale providers are in a features arms race, the latest battleground being the creation of machine learning and artificial intelligence platforms, steadily revolutionising these spaces. Over the next twelve months we can be certain to observe a further consolidation of their services, with hyperscale providers building platforms that are easy to consume and reduce operational costs. This will naturally lead to decreasing cloud expenditure as these become more mature, more accessible and easier to work with, driving a further decline in traditional computing. Companies’ digital transformations have come a long way, but as cloud platforms continue to innovate and as machine learning and artificial intelligence become increasingly efficient, businesses need to carefully evaluate what is right for them long term. This is not a decision that can just be taken by the IT team any more. Consequently, many organisations, wondering where to start, turn to managed service providers accredited by hyperscale cloud providers, as they can design and deliver bespoke cloud computing solutions that are tailored to an organisation’s specific needs. Using the help of a trusted expert and solution-led infrastructure company is often the best way to solve a business challenge with technology, and to be safely guided through the journey to the cloud. Robert Belgrave is the founder and CEO of Wirehive. He is also the chair of BIMA South, and the co-creator of Alexa Stop!, a podcast looking at how technology is changing our lives.